How do you taste tea? I’ve realized that I need my “tasting environment” to be conducive and, most importantly, I need to be concentrated, especially when taking tasting notes. There are days when I have no clue how to describe flavor and aroma notes and days when it’s the easiest it’s ever been. I’m very sensitive to sound and a quiet environment is essential for me. I can’t play music in the background. Also, a minimalistic and de-cluttered environment can help me focus on the task at hand. It’s nothing esoteric, it’s rather practical, actually. You want all your senses to be alert and not distracted by what’s around you. I haven’t tried it yet, but I’d like to taste tea blindfolded once. Subtracting one of the senses might make the others more receptive. Sometimes it helps if I’m tasting tea with someone who is as into tea as I am, because I can share and compare tasting notes. What do you think? What’s your experience? 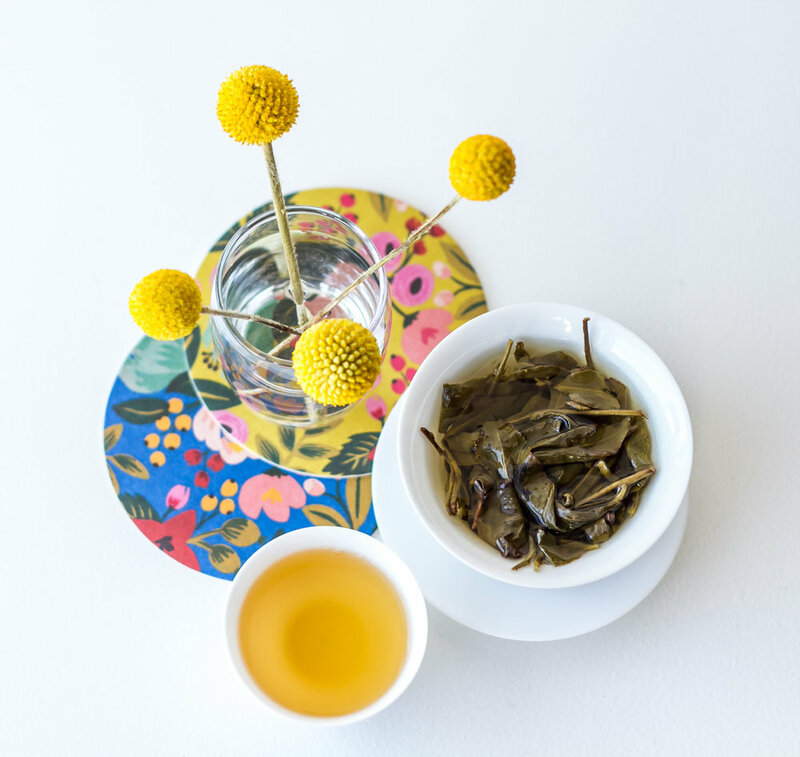 Today I’m sharing with you my tasting notes of this Tung Ting Mi Xiang by Red Blossom Tea Co. Tung Ting means “Frozen Summit" or "Icy Peak”, whereas Mi Xiang means “honey fragrance” or “honey aroma”. This particular tea was bug bitten, similarly to what happens to Oriental Beauty oolong. Disclaimer: I purchased this product with my own money and I was not asked to review it. This is my honest opinion. I am not affiliated with the manufacturer of this product.